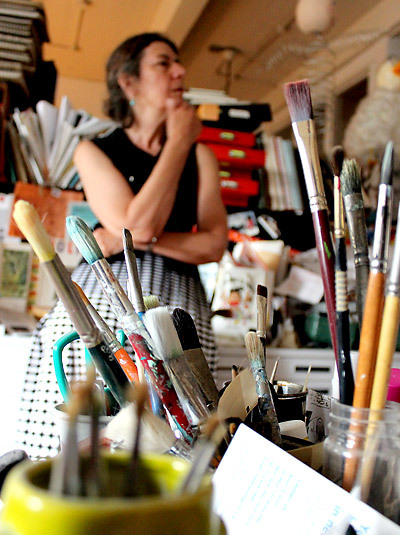 From the minute we walked into Jessie Hartland’s live-work loft in downtown Manhattan, we knew we had discovered gold. 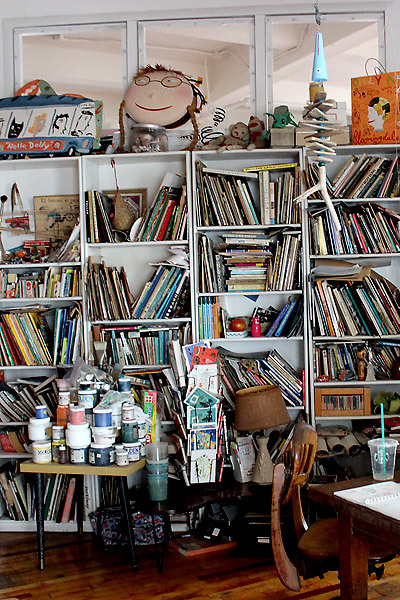 From the vintage comic book collection at the entrance, to the studio office filled wall to wall with books and handmade mobiles hanging from the ceiling, drawings and inspirational collectibles—this was the workspace of a true creative genius. 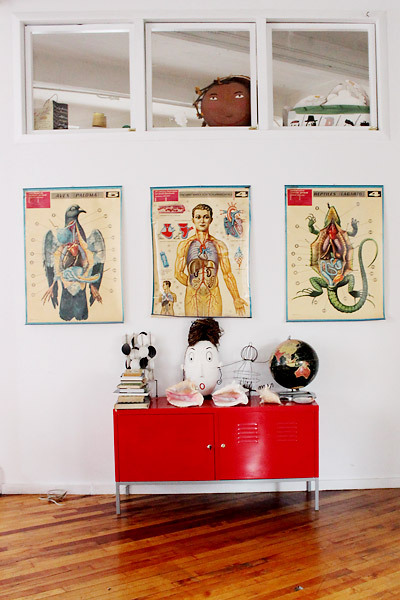 Above: Images of Jessie's home studio in downtown Manhattan, filled with books: both ones that inspire her work and some of her own. 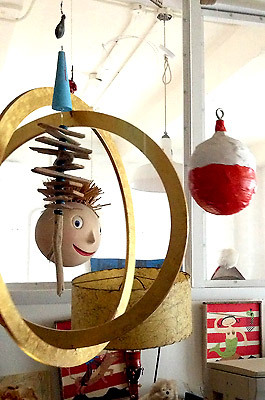 Hand made mobiles hanging from the ceiling. 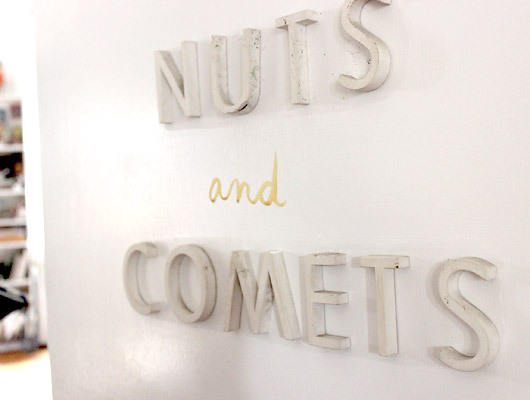 "Nuts and Comets" written on the studio door, and creative paraphernalia in every corner. Jessie says her inspiration comes from “traveling the globe, looking at books, and visiting tag sales and flea markets,” though she is also inspired by "visiting museums and galleries." This is made obvious when she shows us some of her latest children’s books: How the Dinosaur got to the Museum and How the Sphinx got to the Museum. 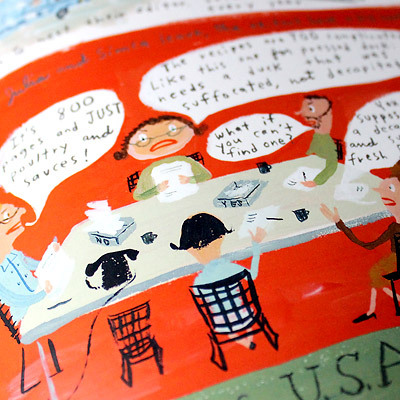 Though she does not have a background in writing, it was those spreads for Travel and Leisure that allowed Jessie to realize how much she liked telling stories through her illustrations and how many stories she had to tell. Left: A paper cut-out piece made by Jessie for a Japanese client. 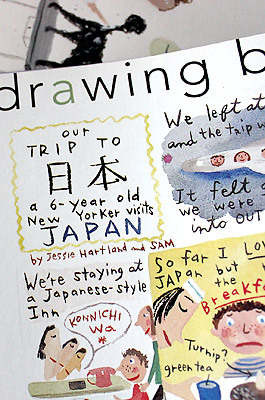 Right: An illustration for Travel and Leisure documenting her trip to Japan with son, Sam, who was 6 at the time. 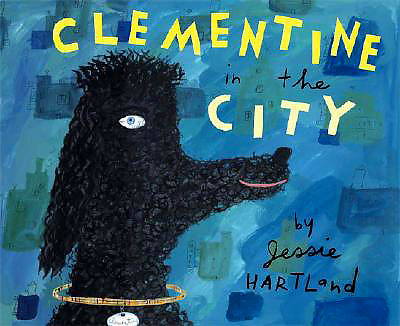 Jessie previously illustrated and co-wrote children’s books, but her first solo picture book was Clementine in the City, the story of a standard poodle who moves to the big city and discovers there is so much to do. It came as no surprise to us that Jessie chose a dog as her main character, especially after we saw an illustrated invitation pinned to her wall for the annual neighborhood dog pool party that she hosts at her home on Long Island. 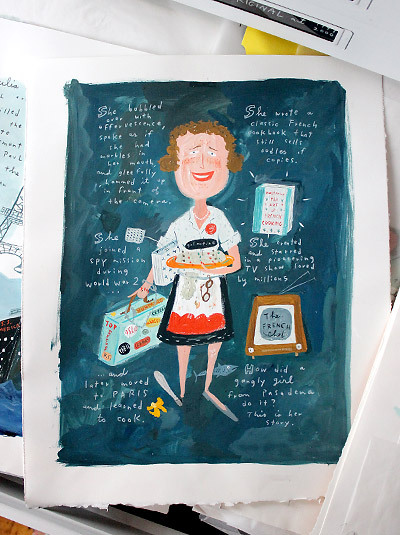 Since Clementine in the City, Jessie has written and illustrated books in her Museum series and has recently begun a series of illustrated biographies, the first being the story of renowned cookbook author, cooking show host and female ground-breaker, Julia Child. Jessie’s book, Bon Appetite! 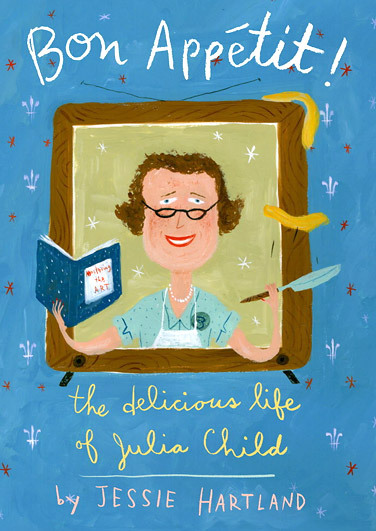 The Delicious Life of Julia Child, tells the delicious story of Julia Child, from her childhood in Pasadena, California, to her life as a spy in WWII, and onto the cooking classes she took in Paris. Filled with funny, descriptive, informative, and child-friendly details, this book is one of the most beautiful we’ve seen. We sat down with Jessie to hear a little bit more about her inspiration behind the book, and why she chose Julia as her first biography for children. 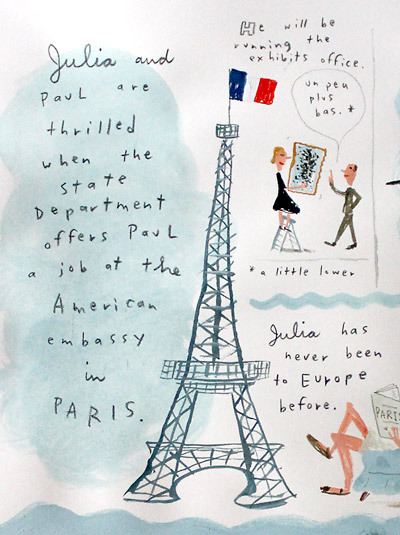 We are in love with your Julia book! What was it about her and her story that you thought would make a good picture book? She’s got great spirit—she was a non-conformist who followed her heart and she broke down barriers for women. She was a feminist before the word existed! 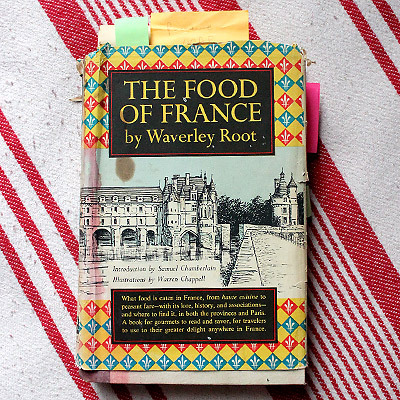 I also love all the food and France imagery. It’s hard to go wrong! We heard that PUBLISHERS WERE NOT ORIGINALLY INTERESTED IN PUBLISHING THIS BOOK. what made you push for it AND WHAT CHANGED THEIR MINDS? The response I originally got was that people were not interested in Julia Child anymore. Julie Powell’s blog and book, and then Nora Ephron’s movie changed that and I was thrilled to then get my chance. 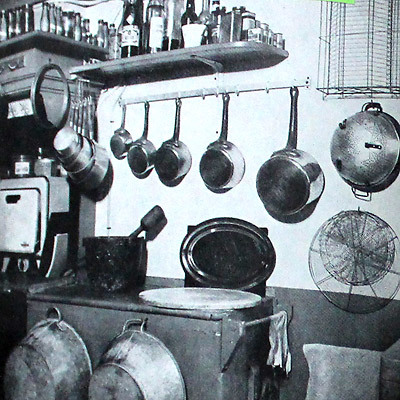 The book is filled with EVERY tinY detail about Julia: her life, her love and her venture into the world of cooking. What type of research did you do TO PREPARE FOR THE BOOK? Oh, I read everything I could get my hands on and watched every TV episode out there, some numerous times. I visited her kitchen at the Smithsonian, got a glimpse of the outside of her house in Georgetown, D.C, and then toured France, from top to bottom. North to Brittany and Normandy, a mad dash about Paris, and then to the South, where Julia and Paul had a house near the town of Grasse. Some French culinary hi-points include: a nougat factory in Montelimar (a nougat-crazy town with dozens of small factories) a chevre farm in Normandy, the Moet+ Chandon Champagne tour in Epernay, the watercress soup in Veules-les-Roses, and the famous farmer's market in Nice (where Julia shopped!). I also visited the many art hot-spots near Nice: Fondation Maeght, the Matisse Chapel, Musee Picasso in Antibes and the Cocteau Chapel. Above: Research for the book on Julia Child. 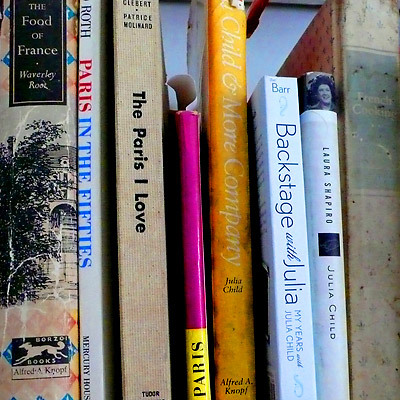 A shelf of books in her bedroom, a vintage copy of The Food Of France, and a photograph of Julia's kitchen. We love THE graphic novel-style format USED to tell julia's story. How did you choose what to include and WHAT WAS IMPORTANT? I had to tell the story of her life but most importantly, I wanted to show kids how hard she worked and that it took 10 years of trial and error to get “Mastering the Art of French Cooking”, the first cookbook, published. You know what they say, “A picture is worth a thousand words.” I love being able to skim down the words with the detail in the illustrations; for example, I love seeing the expressions on character’s faces. 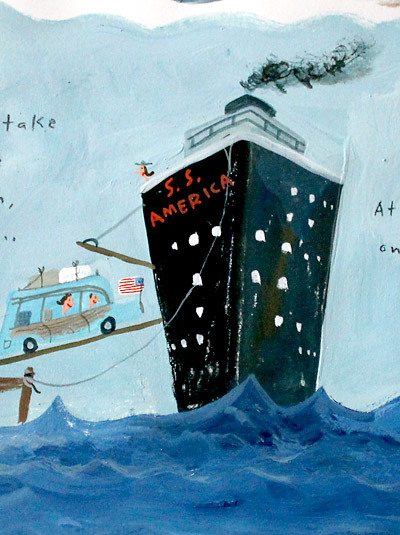 Which part of Julia’s story did you find most fun to illustrate? The parts in France, a place I love. 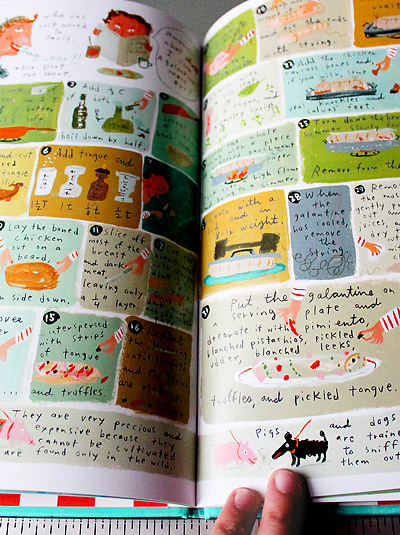 But I also enjoyed the challenge of breaking down the absurdly complicated Galantine recipe into its 32 steps. I’ve always wanted to illustrate a cookbook. 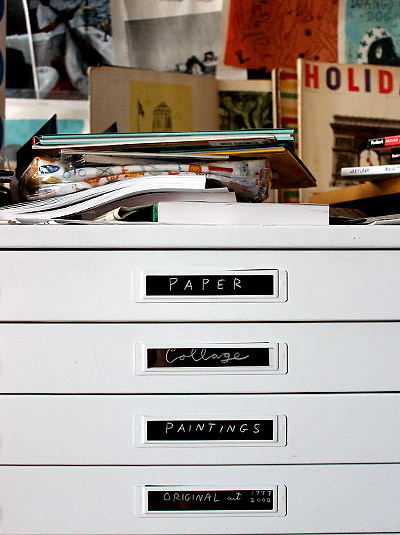 Above: Drawers in Jessie's studio that hold all original artwork used in her books and illustrations. Each book has its own drawer. This is Julia's drawer. 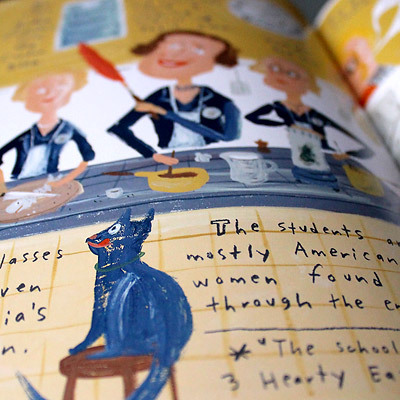 Above: Illustrations from Bon Appetite: The Delicious Life Of Julia Child. 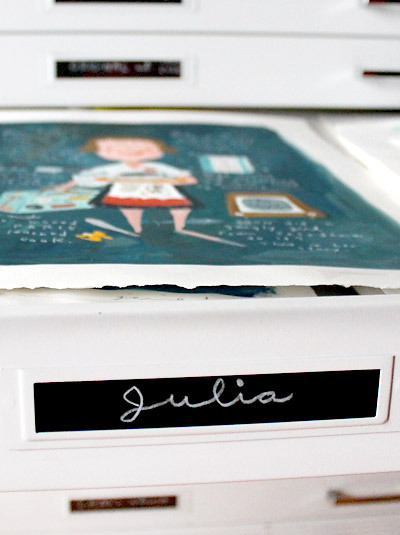 The book highlights every stage of Julia's life, from soup to nuts. 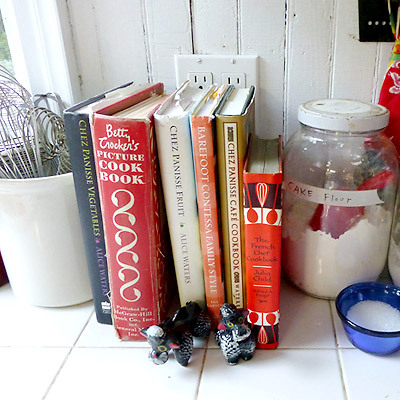 Is cooking something you like to dabble in during your spare time? WHAT ARE you MOST FAMOUS FOR IN THE KITCHEN? I do a lot more cooking from my Long Island house in the summers. My son, Sam, likes to fish, so we eat a lot of tuna, striped bass and mahi-mahi. I like to use the local produce, especially from a nearby organic farm and from my own garden. Over the long summers when I was in art school I worked in a succession of Boston restaurants where I fried fish, made crepes, and cooked up Russian dishes like blini, borscht and chicken Tabaka. 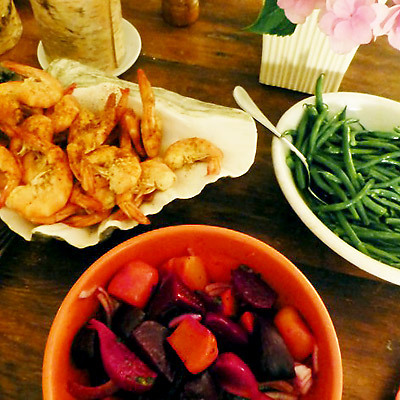 If Julia Child could cook you any meal, which one would you choose? Bouillabaisse, a seafood soup and my all-time favorite dish! 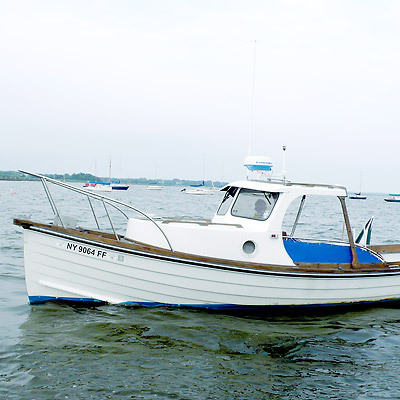 But first we’d go out in my old fishing boat, the Gladys, and catch the ingredients ourselves: local fluke, striped bass and bluefish, mussels and cherrystone clams. We’d use fresh herbs from my garden and also make a fine salad with home grown lettuces, tomatoes and cucumbers. Dessert would be a tart made with homegrown raspberries. Left: Jessie's boat, Gladys Middle: Her kitchen at her home in Bellport, Long Island Right: Dinner cooked by Jessie for friends. Photo Credit: Isabelle Dervaux. 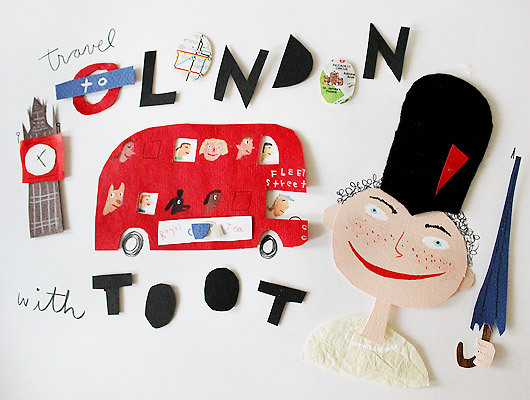 Were there any books growing up that played a big role in the way you like to design and make picture books today? I read and loved all the Madeline and Babar books; the Harry the Dirty Dog books and other collaborations between Gene Zion and Margaret Bloy Graham, and the work of Roger Duvoisin and Alvin Tresselt. Next you are working on an illustrated biography of Steve Jobs. What is it about Steve Jobs that you think would make a good book? 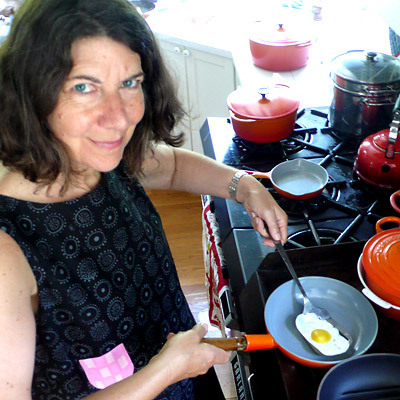 I wanted someone really different from Julia Child, and I wanted a challenge. Of course I’d heard how Steve Jobs was a willful, non-conformist, perfectionist, college drop-out GENIUS who started a business in his parents’ garage which grew into the world’s most valuable company. How did he do this? I HAD to know! This book is black-and-white, now at 220 pages and will be for middle-graders to adults. There’s a lot in there, not just about Jobs, but about tech advances through the decades and how computers work. I was looking for a challenge and I got one! Left: Jessie giving a tour of her downtown Manhattan studio. Right: Drawers in Jessie's studio, each organized to hold original copies of all her illustrations. Is there any particular biography you have in mind that you would love to illustrate in the future? My next project, after STEVE JOBS, will be one of my “museum” books. This time I’ll be working with MoMA and delving into the provenance of the Green Helicopter in their design collection. I would next like to do a graphic-bio on an artist or a designer or inventor, but I don’t yet know who! 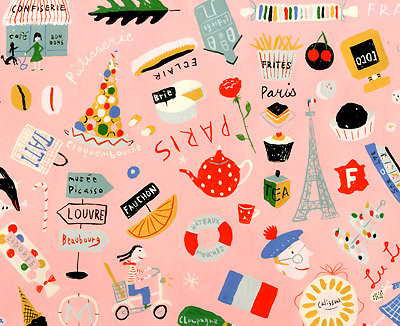 Jessie Hartland is a New York City-based commercial artist and writer and illustrator of books for children. She has painted murals at a Japanese amusement park, designed Christmas windows for Bloomingdale’s and put her mark on ceramics, watches and all sorts of other things. She has done drawings for many magazines and newspapers such as: the New York Times, Travel and Leisure Family, Martha Stewart Kids, Bon Appetit, and Fit Pregnancy. Corporate clients include Target, Swatch, Fodor’s, and Solaris Hong Kong. Her paintings have been exhibited in Venice, Tokyo, Long Island and New York City. A Dad, a storyteller, and an all round boy-crush. I haven’t gone through the article, but I couldn’t leave without commenting on how beautiful the illustrations look. I am so going to come back and reading it. Will leave a more ‘insightful’ comment then…but just wanted to say absolutely *loved* the graphics on the site and a special thumbs up for the books image. I LOVE LOVE LOVE Jesse’s work! Brilliant and totally inspiring. Considering my daughters name is Julia, she has to get this book for her birthday. Wow will she be thrilled at that! Very busy illustrations should keep her entertained for months! I love Julia Child and am so inspired by her passion for food and by the way she lived her life! I would definitely hang one of these illustrations of her in my kitchen.